Hi! Did everyone have a good Easter? I spent most of my time sleeping and relaxing. I haven't really wanted to go on my home computer after work since am staring at a screen all day. Do I have much to report...? Not really to be honest. I am working at an animation studio on a fairly big project and have spent the last few weeks on the design team. I will be moving onto animation shortly, though my role might be a little bit different than usual...more on that later! 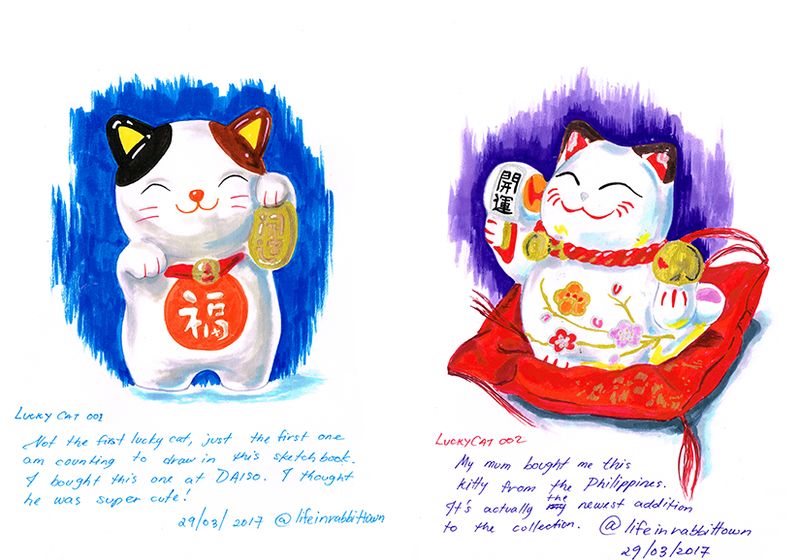 I also finished a piece for an exhibition, just have to mail it now! Hmm....I also have to do quite a bit of freelance this weekend too and not to mention sort out some of my finances since am seeing my accountant on Monday. Other than that...not much else! 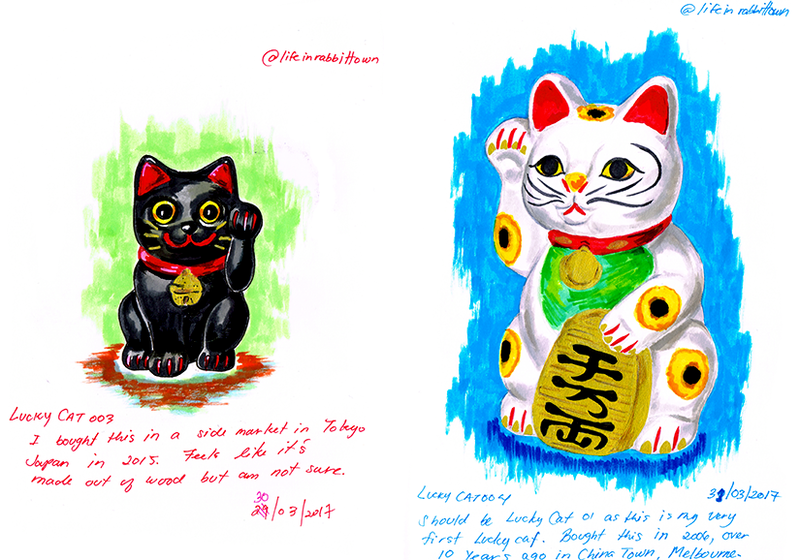 I've been drawing my lucky cat collection, in no particular order, so here are the first 4 from my art journal.